The Alpha Packaging, located in Jacksonville, FL, was searching for a solution for a growing noise from high pressure compressors in their warehouse. An excessive level of noise from the compressors was causing concerns and complaints from Alpha Packaging employees. 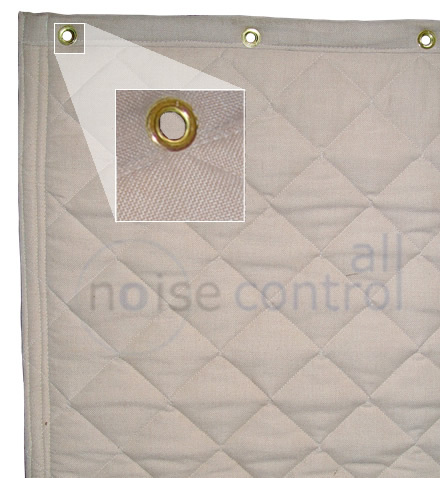 All Noise Control met these challenges by developing a custom solution using the ANC-AB13 2″ thick acoustic blanket with 1# non-reinforced vinyl barrier to create a 4 sided enclosure including a floor mounted heavy duty double track system. Alpha Packaging decided to implement our recommendations and to enclose the Compressors with an acoustic blanket with 1# non-reinforced vinyl barrier. The noise complaints from the employees ceased, and management had achieved its noise reduction goals and very pleased with the results..